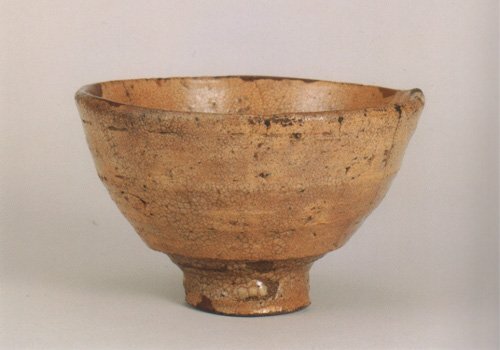 It means that among the many types of teabowls, Ido are ranked first, Raku second, and Karatsu third. It's all very formal and codified, and makes you want to pull your hair out. For most people, what you need to remember is that the best teabowl is one that you enjoy drinking tea out of, and that is suited to use in tea ceremony. A teabowl, no matter how beautiful, is just a concave rock if you can't whip up your tea in it. Which brings me to the next point. 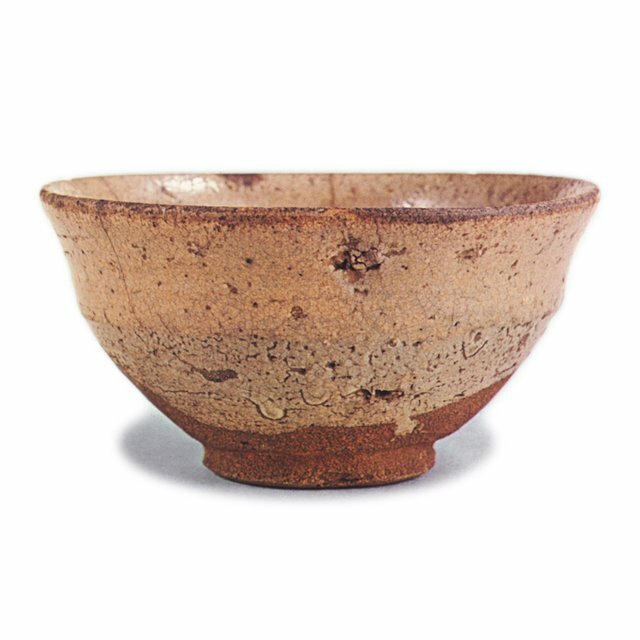 Some of the best teabowls were not made to be teabowls, but rather were found by tea practitioners, who thought "Hey, that might make a good teabowl...". The Japanese word "mitate" means to find something intended for another purpose and applying it to your needs. Ido teabowls are just that, found bowls. The tea master Sen no Rikyu saw one of these old Korean bowls and began using them in his tea room. These were bowls made by the thousands by Korean potters without much thought to beauty and aesthetics, but rather "how can we make a lot of bowls really fast because we need to sell a lot and cheap so we can eat." The 500 year old equivalent of cheap mass production. 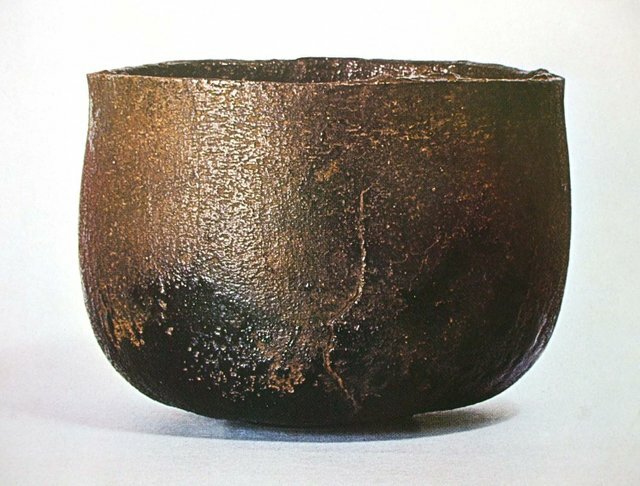 Many potters in Japan and around the world make teabowls, and among many of them, the Ido bowl is a sort of 'holy grail' of tea bowls. They are incredibly difficult to make, simply because the people who made them historically made so many that the form came as second nature, and without pretense. 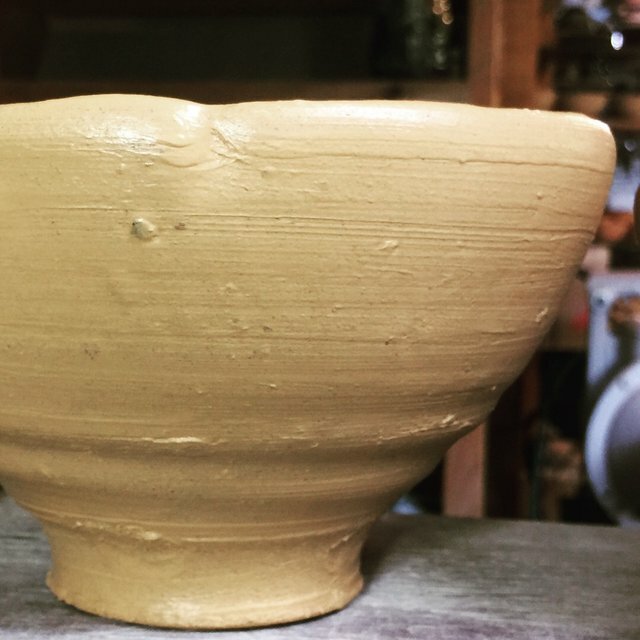 There is no wasted effort in them, and the process of their creation is laid bare in the roughness of the clay, the minimal trimming, and the surface of the glaze. This is just not easily copied unless one spends just as much time doing the same movements, with the same tools. 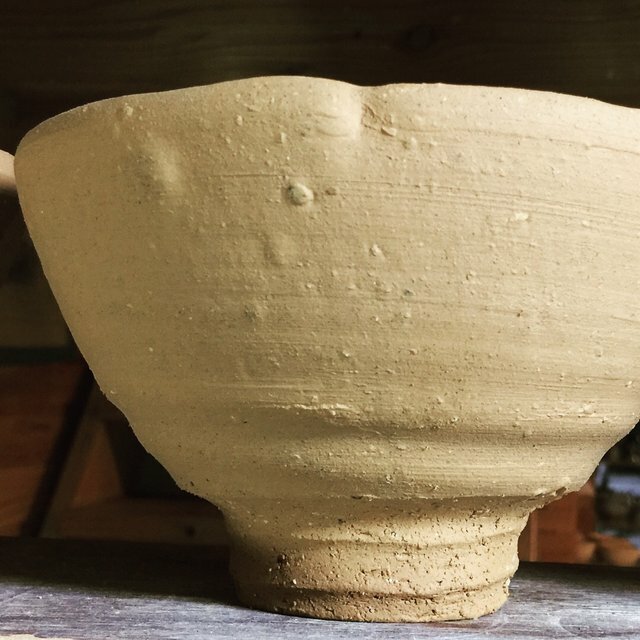 When I start to feel that I may be improving and making strides as a potter, I throw some Ido forms. It never fails to put me back in my place. It is an exercise in humility. Which is what I did this last few days, here are some pictures. I'll be sure to post the fired pieces in September after I unload the wood kiln.